Two half-assed salesmen whose careers have bottomed out lose their jobs selling knock-off watches and junk, and in desperation, end up applying for an internship at Google. If “losers getting a life” comedies are your thing, then this one may do it for you. “Billy McMahon” (Vince Vaughn) and “Nick Campbell” (Owen Wilson) are where they are in life because they’ve set low standards for themselves that they never bothered to try and rise above. After the job’s demise – when their greedy, only-looking-out-for-#1 boss (John Goodman) left them hanging – Nick goes to work selling mattresses for a creepy, immature boss (Will Ferrell) when Billy announces he has landed an internship at Google for them. Against all odds, the two end up moving to California. When they arrive, they could not be more out-of-place if they were from another planet. Neither have a clue about coding or even the finer points of operating a webcam, but when a diverse-but-doomed team of other outcasts come together with them, things start to look up—well, sort of. 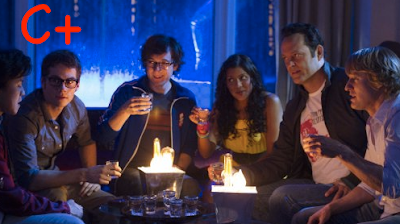 This young and ultra-diverse team consists of smart-but-still-quirky standouts (Josh Brener, Tiya Sircar, Max Minghella, Tobit Raphael) who, all things considered, are a fit for each other, but what is inescapable is that neither Billy, nor Nick appear to be a fit for Google. Whether you’re a kid with mommy issues, a social outcast, or a nerd who hasn’t had his first drink yet, you still have hope. But what can two burnt-out 40-somethings add to the mix? Vaughn, who co-wrote the screenplay and did the improvs with the to-be cast, wanted to keep things real, or “organic” as director Shawn Levy put it. The result was a supporting cast selected who had lived lives somewhat similar to the characters they were portraying. 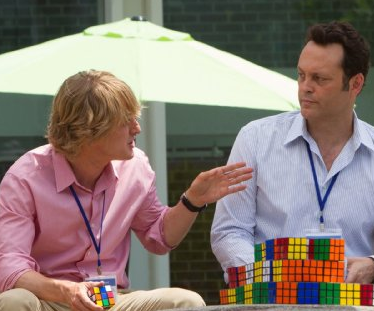 The Internship is another of those yearly comedies that do really nothing to advance their genre, but manage to entertain us a little in the process of at least trying. In a year of completely mediocre movies, this one slips right in quietly. With an unexpectedly charismatic supporting cast, The Internship manages to sport some fresh talent (I, for one, am hoping to see more of Tiya Sircar in the near-future). “Mr. Chetty” (Aasif Mandvi) as the Google Intern program head, is about as likable and funny of a douche as can be. There are few big “lol” moments, but the film is funny enough throughout to keep afloat, and with a few surprises here and there. The story makes sense up until the end where the writing finally fizzles out, but it proves to be yet another nice distraction for 2013. I’ll put it over there with the others.